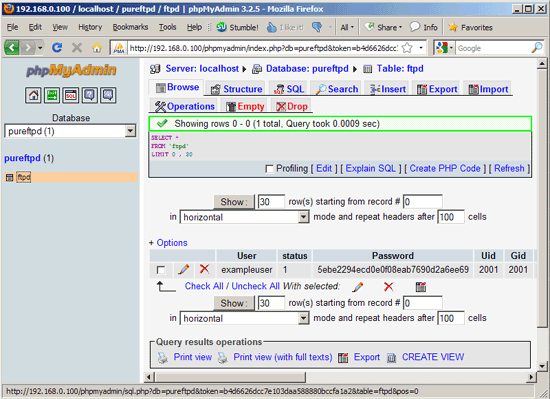 Afterwards, you can access phpMyAdmin under http://server1.example.com/phpMyAdmin/ or http://192.168.0.100/phpMyAdmin/. You can now access phpMyAdmin under http://server1.example.com/phpMyAdmin/ (you can also use the IP address instead of server1.example.com) in a browser and log in as the user pureftpd. 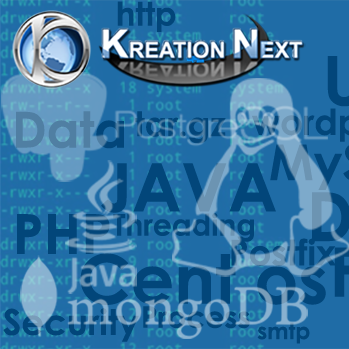 Then you can have a look at the database. 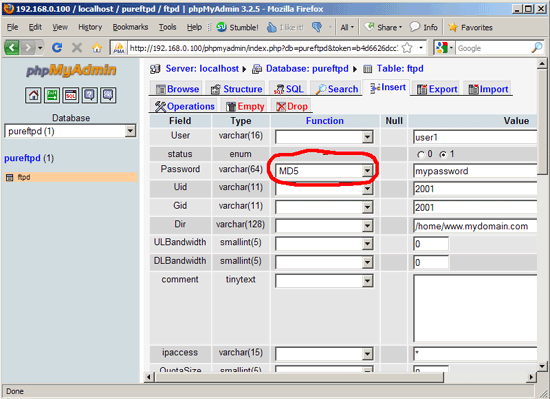 Later on you can use phpMyAdmin to administrate your PureFTPd server. The ChrootEveryone setting will make PureFTPd chroot every virtual user in his home directory so he will not be able to browse directories and files outside his home directory. The CreateHomeDir line will make PureFTPd create a user’s home directory when the user logs in and the home directory does not exist yet. AnonymousOnly must be set to no because otherwise only anonymous FTP sessions will be allowed.